and giving children access to quality moral education. R.E.V.A.M.P is an acronym that stands for REVIVING EDUCATIONAL VALUES AND MAXIMIZING POTENTIALS. This is an EDUCATIONAL, ENTERPRISE and LEADERSHIP development initiative designed to impact children in secondary schools and raise them to excel in their academics and in life. This VOLUNTEER-DRIVEN initiative is geared towards helping improve the educational standard in our schools and raising young leaders, who will transform Africa and the world in general. Our goal is to improve the value and passion for education amongst the children. We are empowering children to be financially literate and young entrepreneurs. We Have the Power to Impact Our Future. Let’s do more Together! 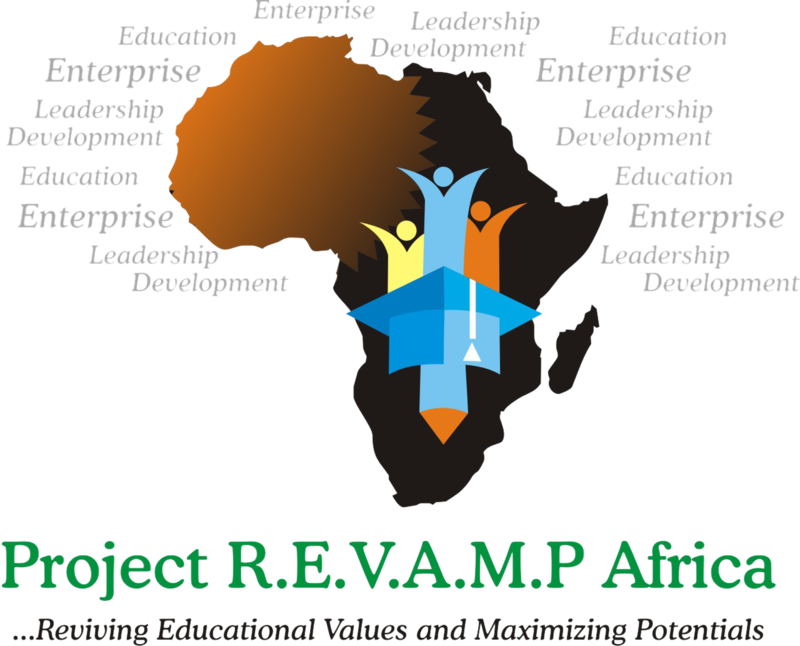 Project R.E.V.A.M.P Africa is working with public secondary schools across the six geo- political zones in Nigeria and countries in Africa. Your support will help us in reaching more children. Our newly signed up volunteers in Lagos State will have an amazing time at our April Volunteers Orientation and Induction Session. Project Revamp Africa Resource Centre. 17 Olutosin Ajayi Street, Ajao Estate, Lagos.